This ruched taffeta and velvet striped skirt is hands down my favorite black skirt. Ever. And it's a "hand me down," to boot! When it comes to drama, I prefer it on the stage and in my wardrobe; not in my interpersonal relationships (let alone social media). But, at the risk of sounding overly dramatic, I'm about to let you in on a big "backstage" shopping tip. Selfishly, I don't even want to tell you about it - it's that good. Even so, I'm spreading the word for a good cause (but if you show up and try to snake my favorite things, we might have to throw down...not to be dramatic or anything. Velvet bolero (Onyx Nights, Nordstrom); Ruffled top (Steinmart). Actually, I can't think of a more appropriate place to find dramatic wardrobe treasures than the Indiana Repertory Theatre's costume and prop warehouse. I picked up this fantastic black taffeta, velvet and tulle skirt there in the Spring...for the jawdropping price of (wait for it)...$5 dollars! Can I just tell you that it is the coolest black skirt I have ever owned. It fits like a dream; has exquisite details; and can be dressed up or down depending on what I pair it with. The fact that it once graced the stage of an IRT production is the icing on the cake (or the denouement, to use a more theatrical term - and yes, I did have to look up the proper spelling of denouement. It's been a long time since my Hoosier Spell Bowl days). You won't be surprised to learn that letting me loose in a warehouse full of period costumes and stage-production worthy pieces for a few hours also yielded a few other treasures, including a fur stole; a plaid fedora; a velvet black raspberry colored beret (literally, a raspberry beret, people! ); and an exquisite floor length, eggplant velvet cloak with beaded edges so magnificent Harry Potter would have been ashamed to be invisible in it (look for it to be featured in an upcoming Halloween post). Wondering just how I managed to get into the IRT's costume and prop warehouse, and whether you can do the same? You can...and just in time for your Halloween costume needs! (Though as you can tell from my skirt, the possibilities go far beyond "theme" attire). 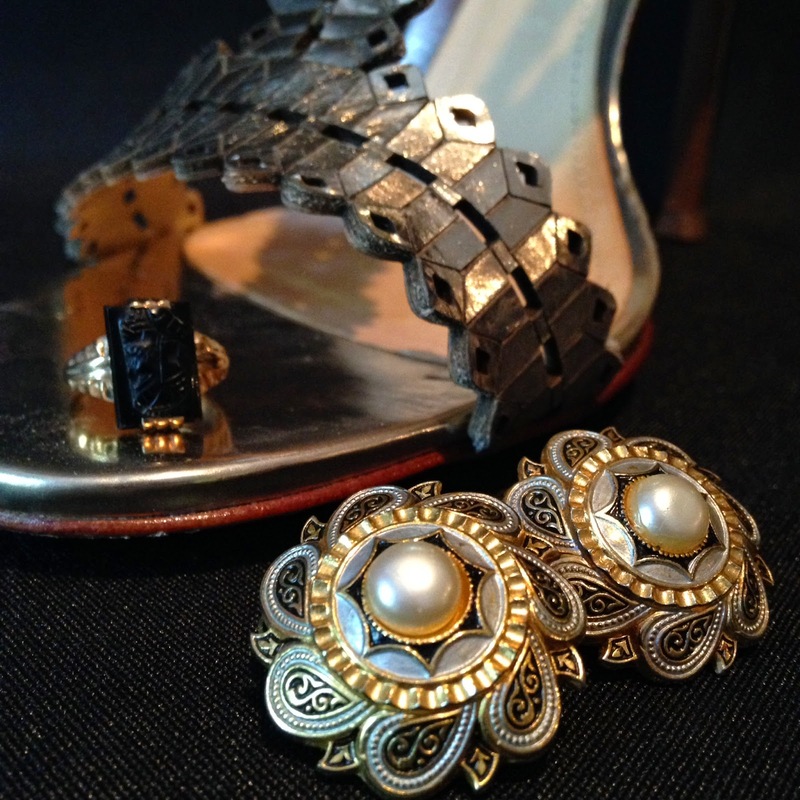 Shoes (Schutz); The earrings and ring are also "hand me downs" - they once belonged to my grandmother. On Thursday, October 8th, the IRT will fling wide the doors of its costume "wear"house on the near East side for a two hour "sip and shop" opportunity called Hand Me Downs & Hooch. A ticket to the event will cost you $25, which goes to support the IRT's productions and costume department, but will include a glass of wine and your choice of a single accessory or item of clothing. 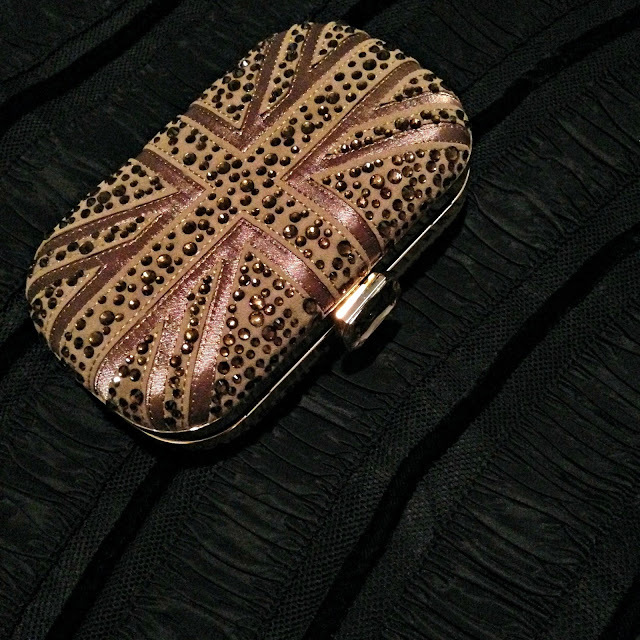 Other items may be purchased for very reasonable prices (case in point, my skirt!) Not everything in the vast, time-period and theme-organized warehouse is for sale (despite my pleading, the costume director just won't part with a beaded bullfighter's bolero that I NEED in my life), but you can still have fun browsing the racks and playing dress up amongst literally thousands of truly amazing (and some outrageous) items. Two bits of advice if you come: 1) Dress down. The warehouse is just that, a warehouse (meaning not so clean concrete floors and dusty boxes everywhere); 2) If you try to snake my favorite pieces, there will be drama! (just kidding...maybe). Hand Me Downs & Hooch will take place from 5:30 to 7:30 pm on October 8th. The warehouse is located at 3835 East 21st Street. You can get your ticket by calling the IRT Ticket Office at 317-635-5252. Details can be found here.